Be careful what you shred! If you fill in a tax return you are legally obliged keep all the paperwork to back it up. This may include your personal bank statements if the accounts concerned are interest-bearing. You have to keep records going back quite a long way. 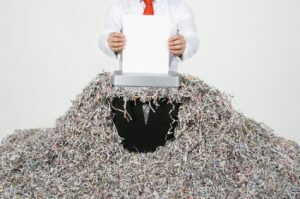 A company with a 31st March year end may not shred its records from the year ended 31st March 2005 until at least 31st March 2011. An individual needs to have all his paperwork from the tax year 2005/2006 until 31st January 2012. We will endeavour to keep you updated on further developments. If you require any more information please contact us here at M.B. McGrady& Co.